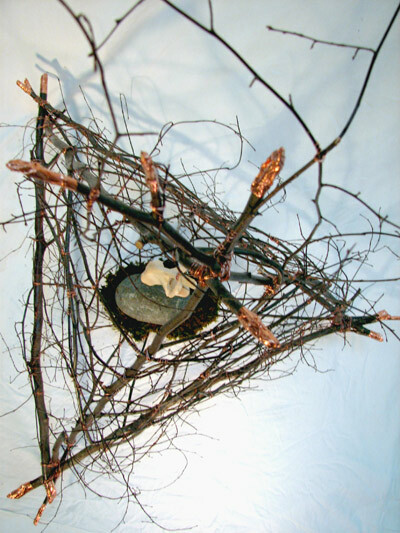 black birch, grapevine, beachstones, found copper object, moonflower seedlings, dirt. 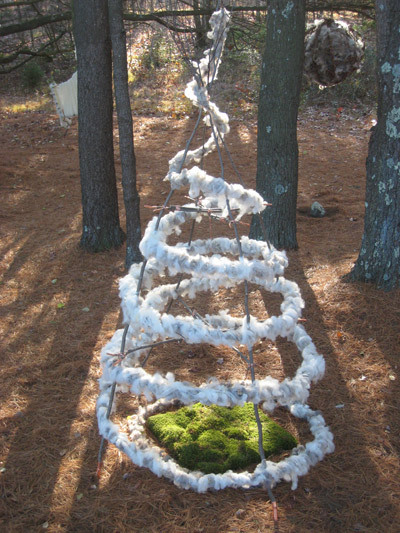 ephemeral installation at Mystic Arts Center, Mystic CT, summer 2011. 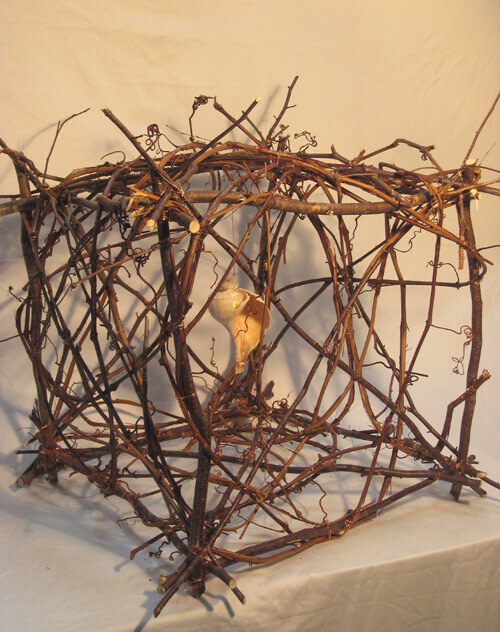 7.5' x 28", tapering to 3"
grapevine, sheep's fleece, copper wire and foil. 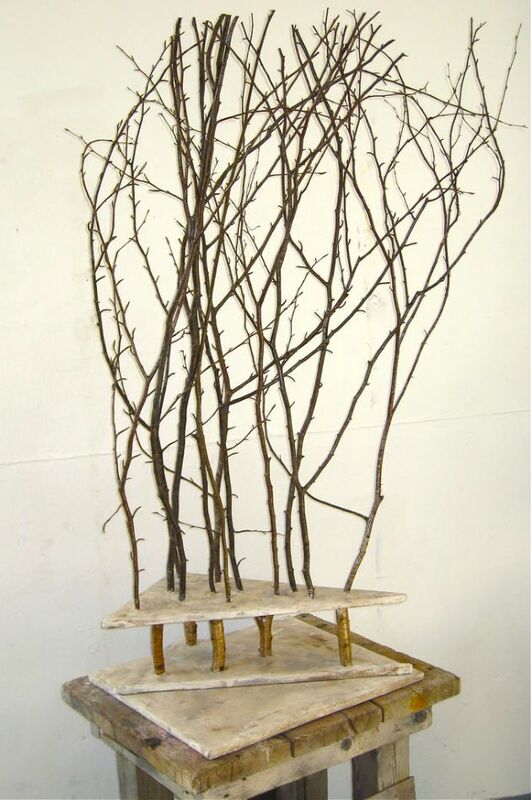 yellow birch, bronze wire, canvas, wood. 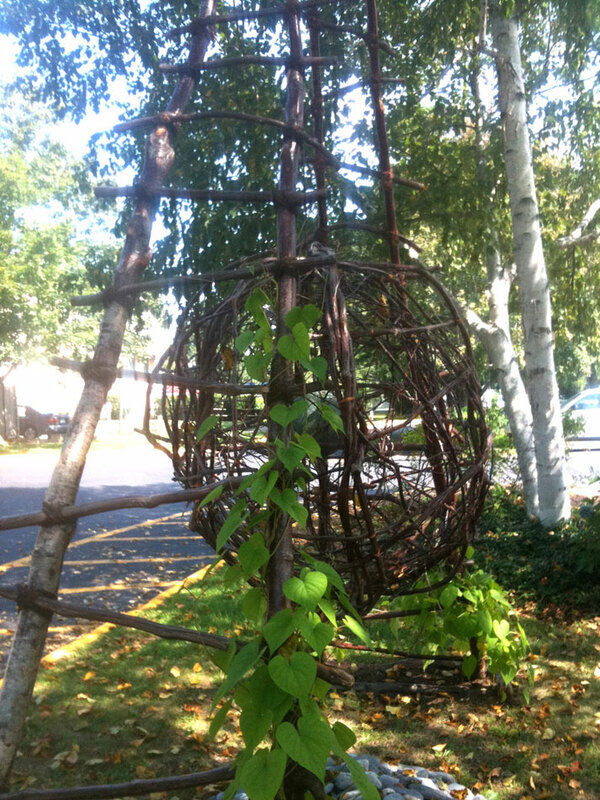 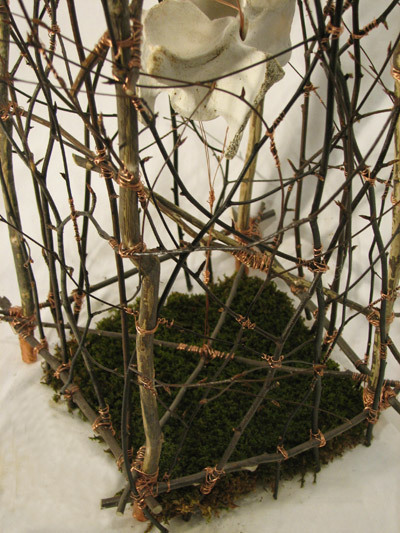 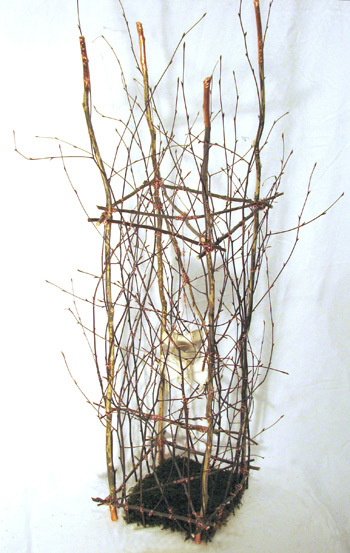 yellow birch saplings, bronze wire, stone. 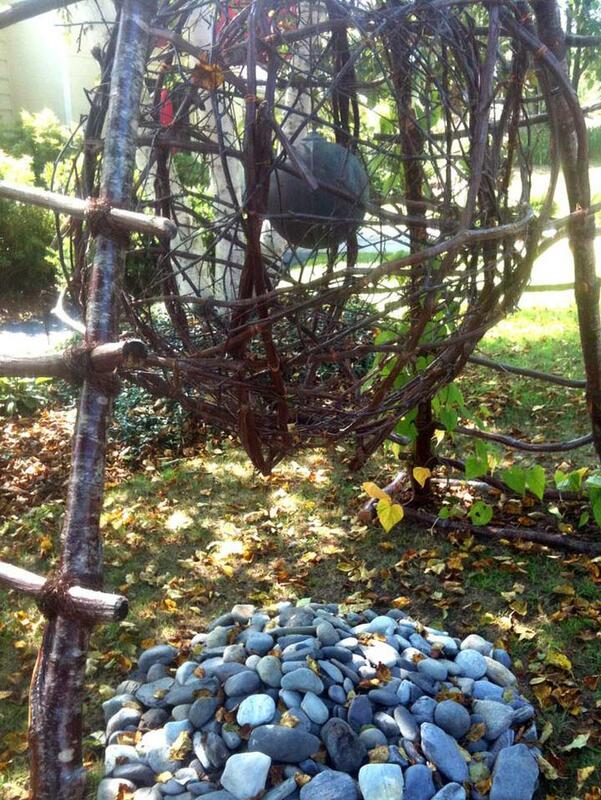 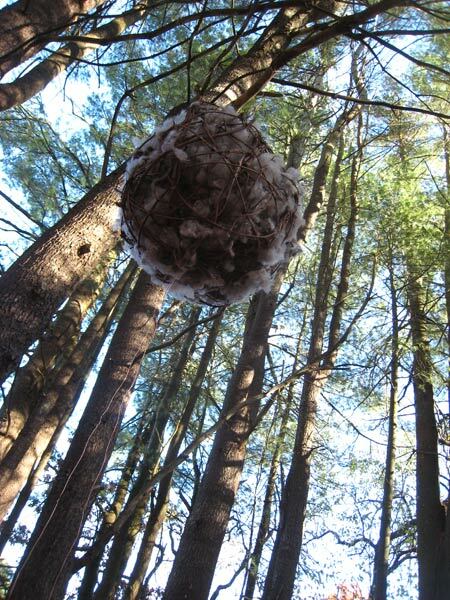 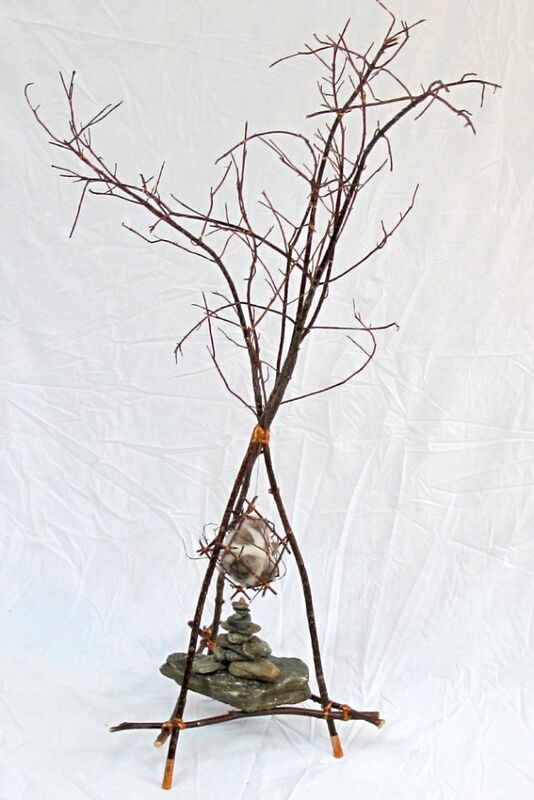 red osier, black birch, sheep's fleece, stones, copper wire and tape. 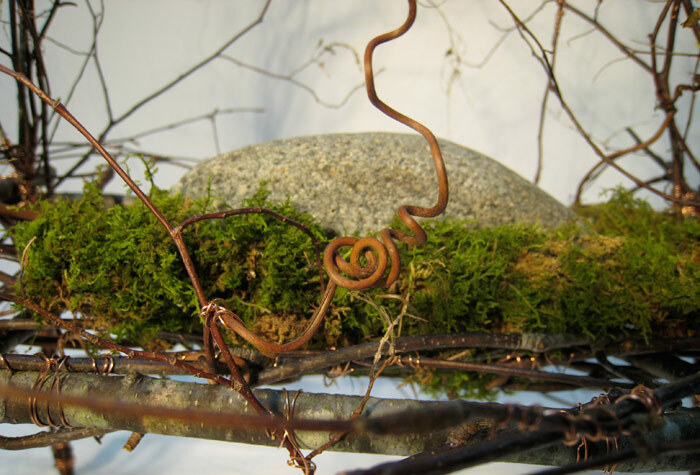 grapevine, sheep's fleece, copper wire. 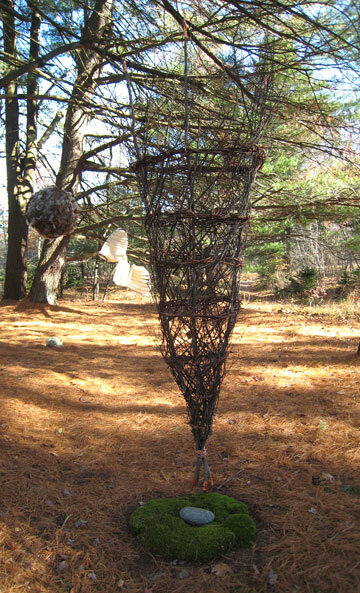 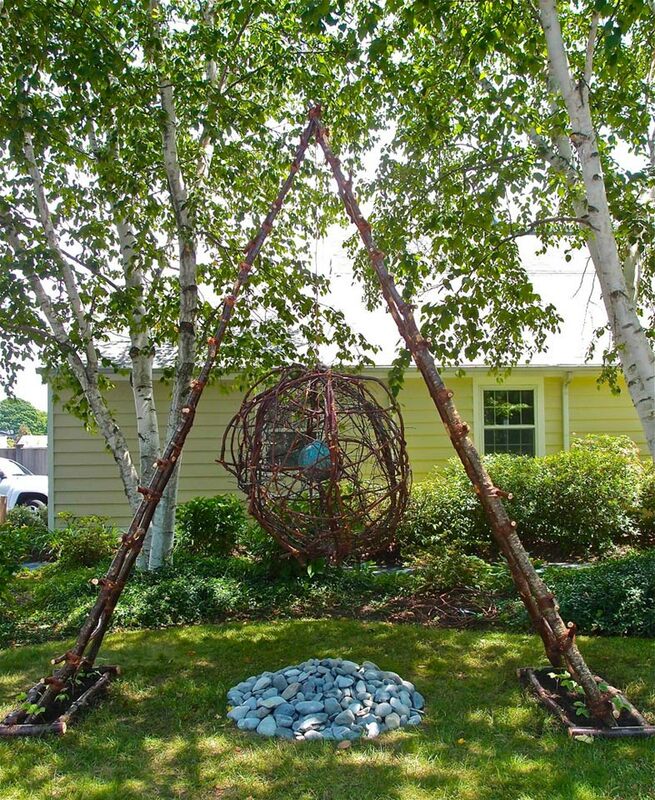 37" high; ball is 11" diameter. 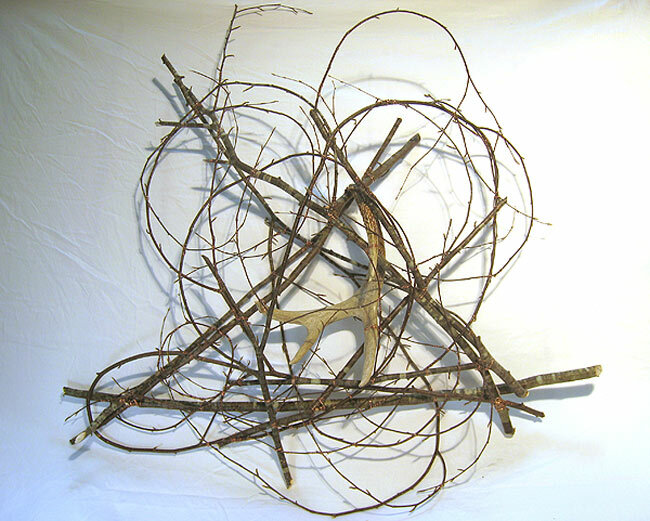 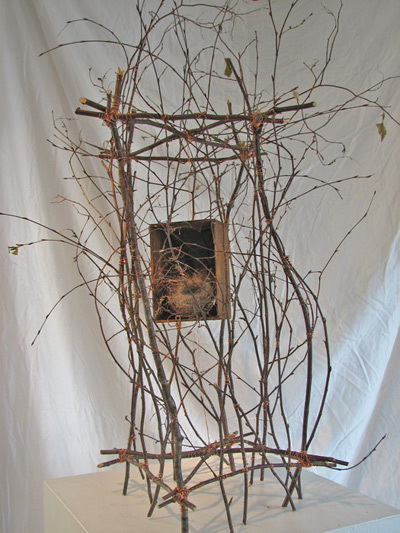 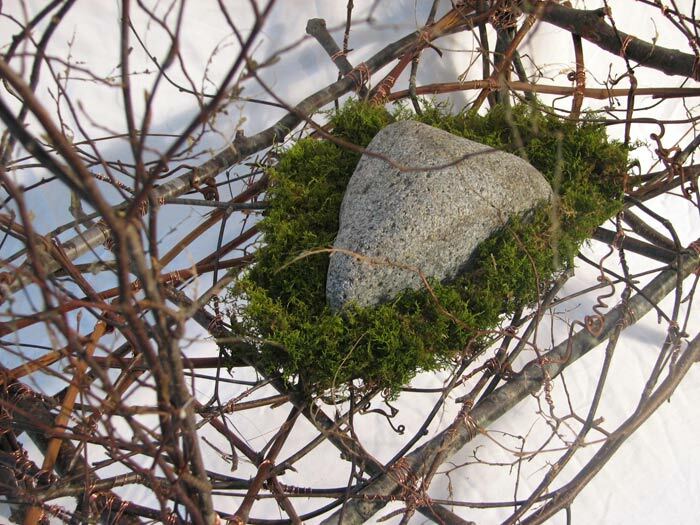 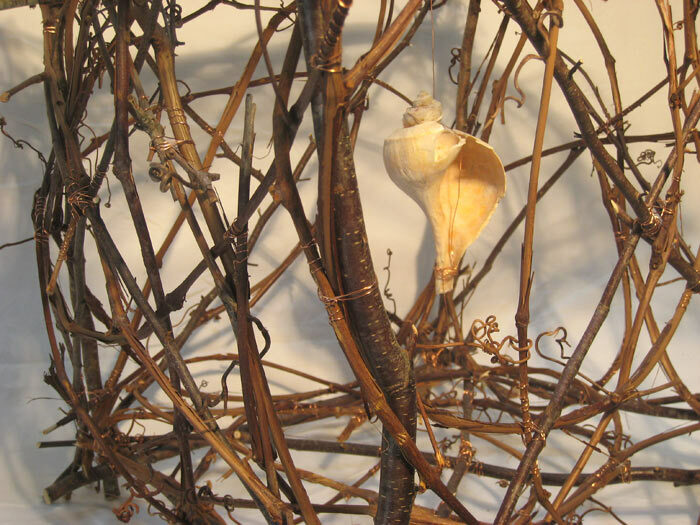 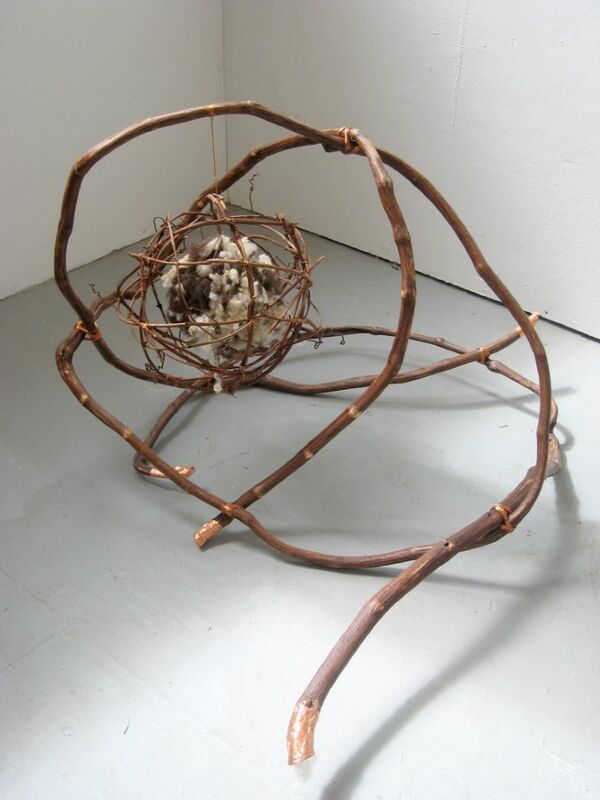 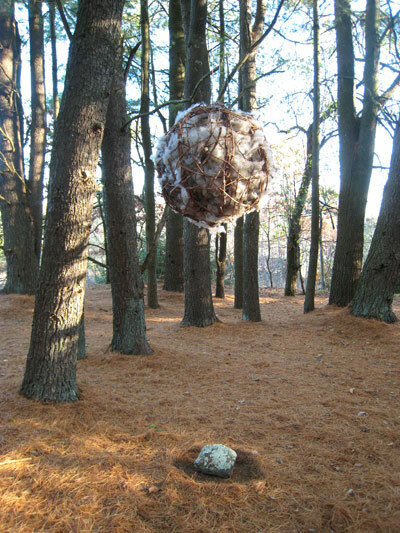 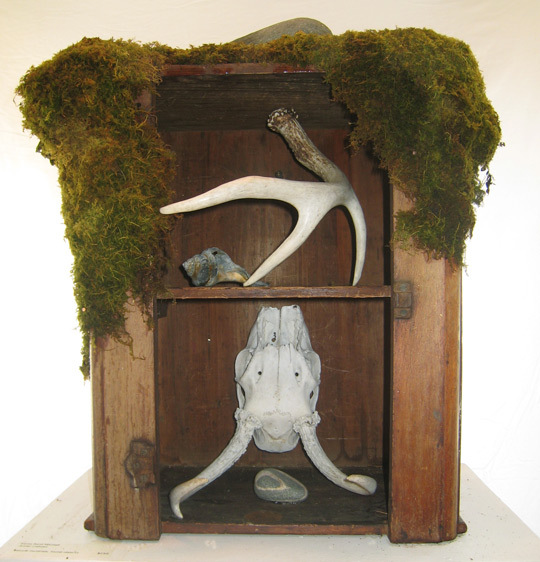 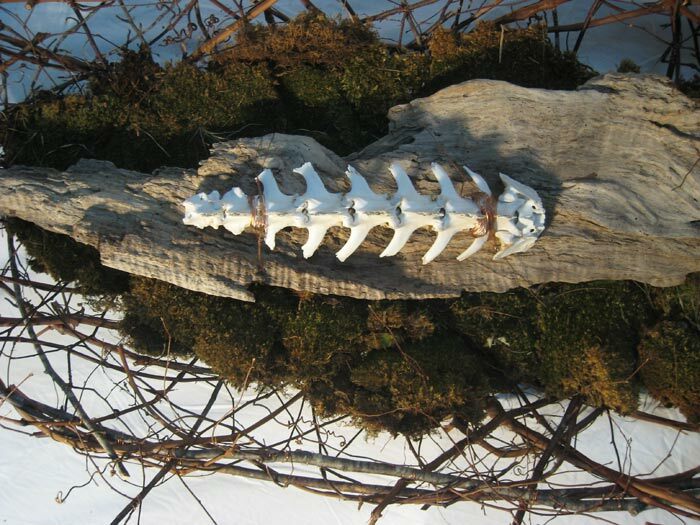 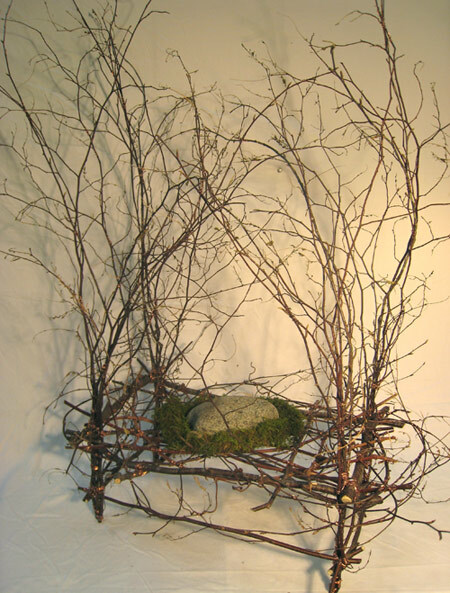 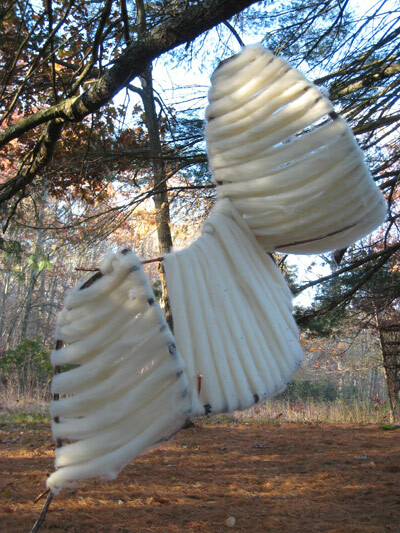 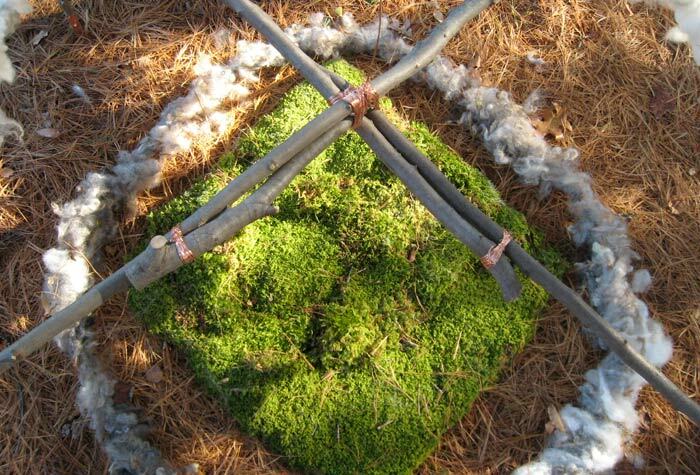 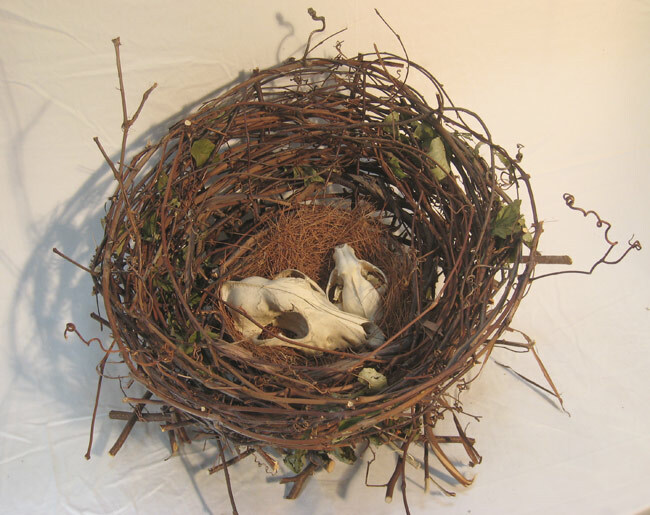 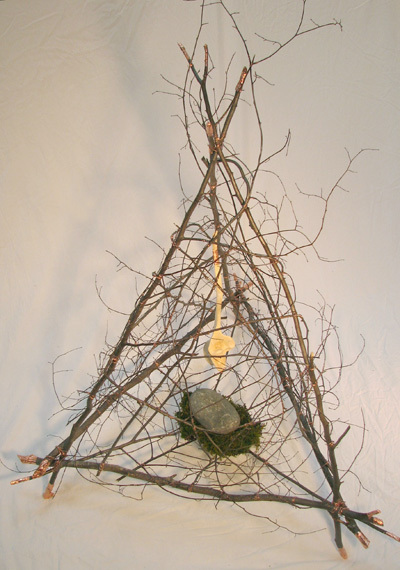 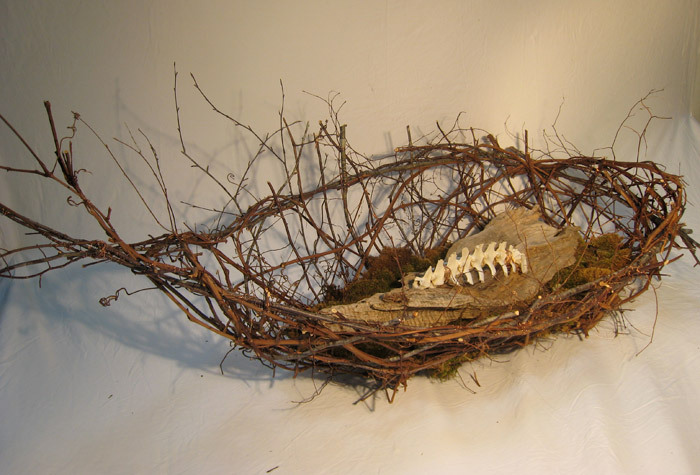 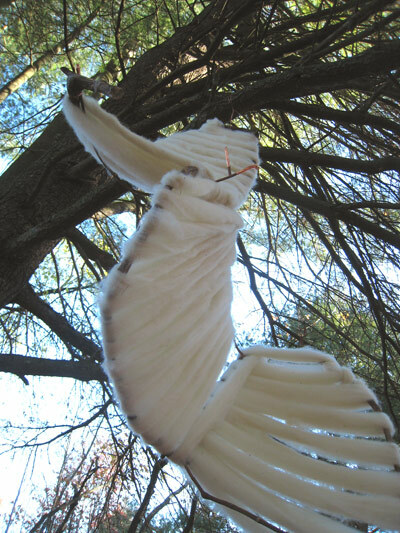 The works in this portfolio are examples of branchwork sculpture, done over a period of several years, reflecting my love of natural materials-- branches, moss, sheep's fleece, stone.